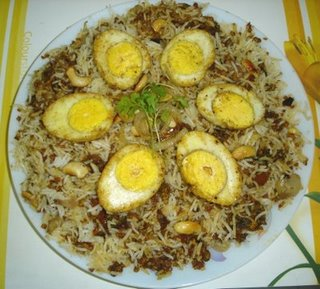 Delicacy made of rice and egg, flavoured with spices. Add rice and water. Stir well. Cover it and cook for 20 minutes on medium heat. Slowly make the rice upside down once, while its getting cooked. Put the rice in the center of the dish plate.